“Fantastic program which I highly recommend to all coaches who are serious about developing sub junior, junior and youth players in sport”. Tim Dakis, Head Foundation Coach – FFA/FFV SAP Nunawading City Football Club, Technical Coaching Director Australian Schools of Football. “I have no hesitation in using ASSA for any athlete that I work with as I know they will get faster because of their programs”. Dr Craig Duncan, ESSA Sports Scientist of the Year 2016, FFA Socceroos World Cup Head of Sports Science, NSW Rugby League State of Origin Sports Scientist. Heather Smith, High Performance Manager GWS Fury. BCNA Netball Association. “…we really agree with everything you guys do”. 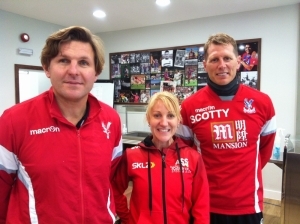 Darren Burgess, Arsenal FC UK Head of Sports Science, formerly Port Adelaide AFL Head of Sport Science. Amber Foster, youngest female to ever debut as an AFL field umpire in the NSW Premier Division. Lottie Richardson, GWS Fury Open Netball Team. "Ranell and the ASSA team provide the highest quality training and recovery techniques you could ever ask for! With every single session having an amazing, positive and supportive feel! I highly recommend!" “A very informative and technical session, which my son got a lot of useful information from Ranell.. Thank you and hopefully see you again in Brisbane :)”. Lisa Huntingdon, Mother of Youth who attended an assessment session with Ranell. "Could not of been happier with the service and knowledge I received from Ranell and Kip, every question was answered with passion and extended information, professional, intelligent and down to earth, I have had great joy and confidence in implementing what I learned at the Sports Speed for Coaches course back in April, in my profession as a Run/Sports coach for people with a disability, I highly recommend ASSA to anyone looking to upgrade their knowledge on the topics of speed and agility." "Ranell and the ASSA team are just incredible! We are lucky enough to be going into our third year with Ranell at GWS Fury and session by session she never ceases to amaze me with her dedication, encouragement and knowledge of Speed and Agility work. Don’t know what we would do without her!!! :D"
"Brooke Hosgood my daughter is 12 and attended a session at Forster , very rare for such amazing Athletes like Ranell and the Academy to come north of Sydney , 🌈we were so happy Brooke got to learn some important speed and agility training from such mentors who really encourage greatness from the students to Never give up and to dig deep for speed and agility and always to try their best." Tina Hosgood, Mother of daughter who attended Ranell's clinic in Forster NSW. "Great Coaching, positive environment and extremely knowledgeable staff. Can’t recommend highly enough." We are building the ATHLETE within the player. Ages 9+. Teams and Individuals. Home stretching and strengthening programs. Everything you need to stand out on the field or court & play to the last second. Now open for bookings - Perth (Farrington Road, Leeming)! Click here to find your local ASSA coach and their CV's. The perfect choice for athletes wanting individualised training sessions where the ASSA Coach can provide one on one attention to let you hit your goals faster. 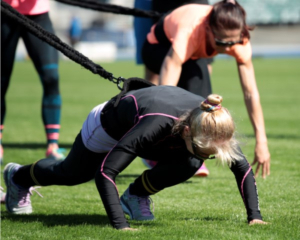 In private sessions ASSA Coaches can individualise training to target your weaknesses and enhance your strengths. Private training is the perfect choice for the athlete with complex schedules and higher training demands. Each training session is for 1 hour duration. 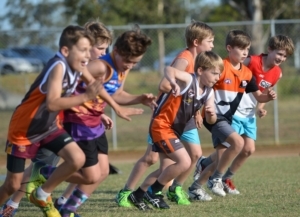 NEW for 2019 : Term Speed Squads : $22 (paid per term) - Adelaide and Perth only ! Ranell will take you through leading technical drills to maximise performance in straight line & multidirectional speed. You will also learn how to identify & correct inefficient speed & movement mechanics in your players that will reduce their risk of injury & increase their on-field efficiency and run faster. The ASSA training system has been designed for progressive athletic development in speed mechanics, acceleration and force production (strength) to make them run faster. Based upon decades of experience and world-class research and specialising in youth long term development for explosive sport speed and reduction in injury through perfect movement mechanics. For all field and court based sports players aged 9 and above. More explosive speed is necessary to get to the ball first with separation from your opponent, sustain fewer injuries, or obtain greater endurance to finish the game stronger than your opposition. 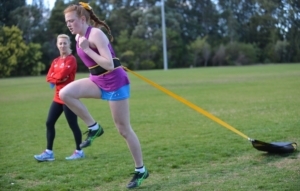 Improve your team’s ability to run faster, first step acceleration, rate of recovery from games and knowledge of game preparation through ASSA’s 8 and 12 week Speed and Agility programs. Heading overseas to pursue a career or for Academy trials? Don’t be on the first plane home. Own the skills that the coaches are looking for – Speed and Strength. We know you have excellent technical skills from your club coaches – let us help you stand out from your competition and give yourself the best possible chance to succeed by working on the athletic side of your game. "Hey Kip/Ranell I’ve been at Southend United for the past 6 weeks training with their u23’s.They don’t have a spot to offer me a contract but have allowed me to continue training until I get another trial sorted out at another club so I’m fit for it. Really professional club, train 6 days a week Monday-Saturday with double sessions and gym sessions mixed in there. A lot of the movements I’ve practised with Ranell we do at the club in training with the strength and conditioning coach pre training, in the warmups and during strength and speed training, you’ve prepared me well! The strength and conditioning coach said I was the fittest player they’ve ever had on trial and most players that come on trial don’t understand the movements and break down after a few days of training due to the shear intensity and volume of training. 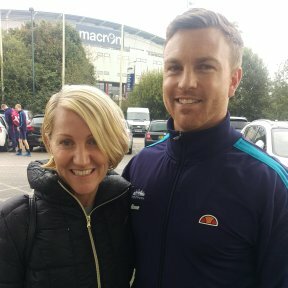 Educating the Coach (and Parent) in implementing or refining a complete athletic development program within their organisation. 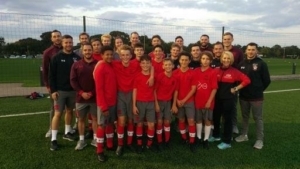 Coaches – whilst you work on developing the players within your team, ASSA will work on creating the athlete within your players. Incorporate a one hour once a week progressive speed and movement session into your weekly training plan and watch your players evolve. Head to the Sports Teams Training page under the Training tab at the top of this page for further information.
" I am in service to your coaches .....to build the athleticism within you girls so that you can do everything that these fabulous coaches need you to do on the court". Here is the video of Ranell's speech to the GWS Fury Netball teams (Opens, U23 and Pathways) at the induction meeting for season 2019. The important message to be taken from this is that we work with technical coaches to create the players that they want - strong, fast, agile, resilient, mobile and confident. 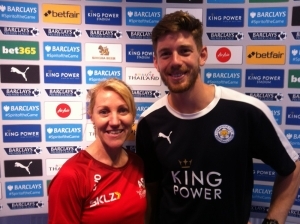 2 sides of the same coin - working together to maximise the on-field/court performance. 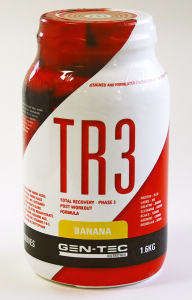 To ensure each and every athlete can achieve their Maximum Athletic Potential. To coach the program makers and coaches of players to ensure excellence of delivery and implementation of sport speed drills. To make our players stronger, faster and safer. To keep the athlete competing at their maximum athletic potential right to the final siren. The video above is taken from an agility specific training session with recently turned 15 year old soccer player Steven Brcic. He has been training with Ranell for over a year now and is soon to head to Europe for entry trials at some of the biggest clubs on the planet. 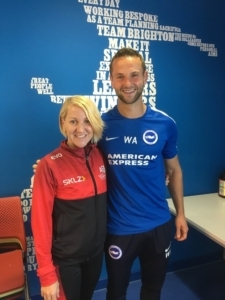 Ranell visits Bolton HP Tennis Arena, Arsenal FC, Southampton FC, Brighton and Hove Albion FC, Leicester FC, Crystal Palace FC and Wigan Athletic FC, England. 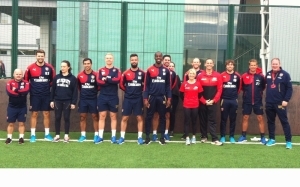 Ranell is often invited to attend the youth academies of world class clubs and share knowledge with their coaches, physiotherapists and sport scientists. 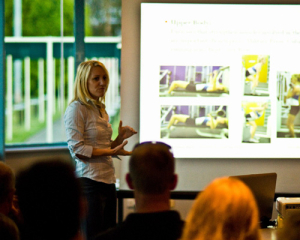 She also presents workshops on “Efficient Movement Mechanics for Maximum Athletic Performance” on-site which are very well received. She can present this workshop in Australia for your club – contact the office now to book. Ready is all or nothing. We either are, or we aren’t. In the history of human endeavour, no man has ever achieved anything with almost. We are very passionate about what we do and work hard to supply the market with the right range of products to live an active, health lifestyle to benefit any individual who wants to be ready for their goals. Gen-Tec Nutrition was founded in 1999 by Nick Jones who has devoted 21 years of his life to nutrition, health and the art of Bodybuilding. First and foremost, Nick Jones is a sports nutritionist whose goal is to improve quality of life and enhance performance through superior nutrition, exercise and specific supplementation. RUN FASTER – Learn how to get off the mark explosively and leave your opponent clutching at air. Get to the ball first and show off your brilliant technical skills. STAY FAST ALL GAME LONG – Learn how to run efficiently and maximise your in-game fuel tank by reducing energy leaks through perfect mechanics. BECOME AGILE – Learn how to change direction in a split second and react to in-game dynamics instantly and explosively. BE RESILIENT – Learn how to greatly reduce your risk of injury through proper running mechanics, recovery strategies and home stretching programs. 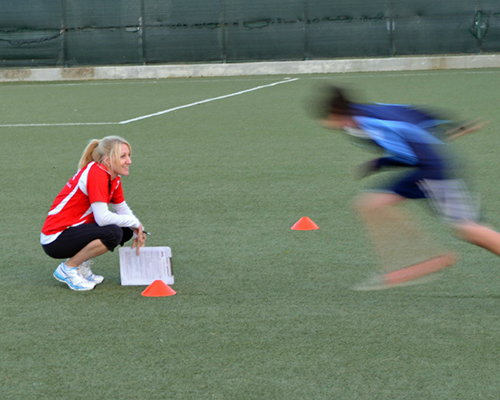 COACH SPEED – Upskill yourself as a coach or player and learn how to coach speed and movement to your individual clients, entire team, club or organisation. 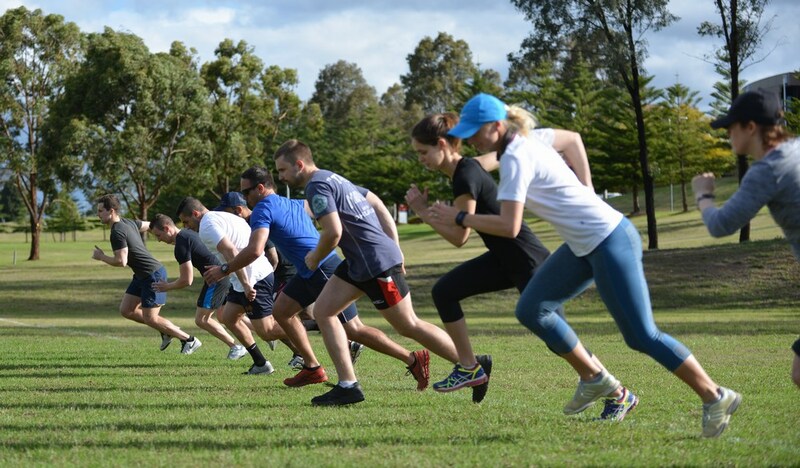 Our Programs are suitable for ALL Field & Court-based Sports: Rugby League, Rugby Union, Soccer, AFL, Tennis, Basketball, Netball, Hockey, Athletics (Track), Cricket, Baseball etc. Ages 9+. We strongly suggest that, now you have found us, you follow our Facebook page by clicking here, or at the top right of this page, for coaching hints and tips, videos of current ASSA athletes in training and regular updates on our activities. It is our most regularly updated information sharing source. Ranell has been asked to provide a full athletic preparation program for the GWS Fury Netball U20 and Open team squads in 2017,2018 and again in 2019. The program covers all aspects of the training necessary for them to achieve their maximum athletic potential on the court and includes strength, fitness, speed, agility, change of direction, mindset, recovery and stability. The video above is a talk that Ranell had with the girls regarding the importance of correct technique in the weights room, with a focus on the squat for starters, and then onto the progressions for the exercises she wants them to perform. It finishes with her discussing individual preparation and creating the athletic mindset that will help them stand out from the crowd. It is an excellent video, full of useful information for all sports players and highly recommended for coaches and mature players alike. ASSA Coaching Director Ranell Hobson was recently asked to help prepare a young Liberian striker Emile Damey for possible National team selection by his coach Timothy Dakis. 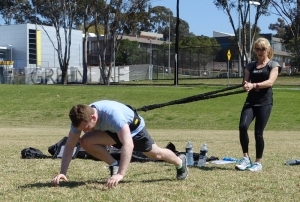 He flew to Sydney to have 1 session with Ranell comprising an assessment and introductory movement drills. At that time certain hip mobility issues were discovered and he was given programs that he could complete in his own time that would help to unlock these restrictions and give him an increase in his first step speed and change of direction. He was chosen to make his debut for his country and scored a goal in his first match as shown in the video above. How supercool is this !!! Ranell was recently in Perth helping cricket fast bowler Aaron Hardie with mobility issues. He was travelling to Sydney this week to play in the Cricket Australia 11 vs India tour match and his dream was to get the prize wicket of one of the best batsmen in the world : Virat Kohli. Looks like dreams do come true ! He went on take 4 wickets and then made 86 runs with the bat for a fantastic match. Matthew Said, Bach App Sci (Ex&Sp Sci), ESSAM, AEP – League and Tennis Coach. 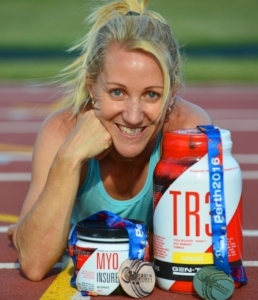 Nikki Lodge, AEP, Exercise Physiologist at Sydney West Sports Medicine. 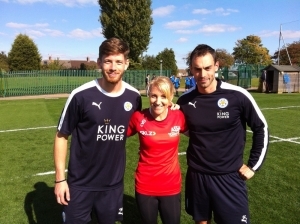 Nick Montgomery, Professional Footballer, CC Mariners Midfielder, Sheffield United FC UK. Dr Craig Duncan, ESSA Sport Scientist of the Year 2014, NSW State of Origin League, Socceroos Asian Cup 2015, NRL Bulldogs, WSW Wanderers, ACU Senior Lecturer. Christopher Brack, State and National Masters Multiple Champion Athlete. Sprints Coach. Keep in touch with all of the Academies events, courses and workshops as well as latest research and information by clicking the button and entering your details into the Contacts page.